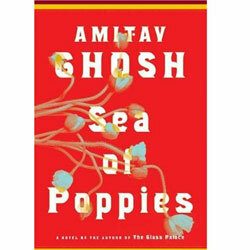 Amitav Ghoshâ€™s Sea of Poppies is a remarkable novel, complex and challenging enough to test even the most experienced reader and historian, but relatable and powerful enough to touch someone who solely appreciates a great story. Dickensian in its scope and power, the story follows riveting characters from all origins as they navigate the complex contours of 1830â€™s opium-ridden India, a land where the weight of history lies heavily, yet identities are transformed overnight. The other day, my wife and her parents picked up a film called “Hum Phirr Mileinge” (sic) from our local Indian store, apparently without reading the blurb on the back. To put it bluntly, Hum Phirr Mileinge is archaic and outdated. You actually pinch yourself while watching this one. Is this real? Perhaps, director Manish Goel is completely clueless about the kind of cinema being made these days. The direction is unbelievably weak and so is the writing. 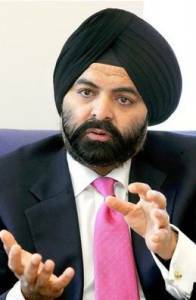 Frankly, nothing works in this film, except for a couple of tuneful songs [Sandesh Shandilya], which, sadly, show up even if there’s no situation. Remember, they are trying to sell DVDs with this blurb! Tonight, some of us in the bunker are feeling a bit shell shocked by the news of Michael Jackson’s death. Rajni in particular is taking it quite hard. She was a huge fan and had spent years learning to moonwalk which is actually pretty hard for a monkey. Michael Muhammad Knight, who had a pretty rough childhood in upstate New York, converted to Islam as a teenager. He came from an Irish Catholic background, but partly under the influence of Malcolm X and black nationalist Islam, and partly simply as a result of his own idiosyncratic spiritual leanings, he took the Shahadah at age 16, and changed his name to Mikail Muhammad. He traveled to Pakistan to study Islam at the Faisal Mosque in Islamabad, under the guidance of Muslim intellectuals he first knew in the U.S. With a convertâ€™s enthusiasm and zeal, he was as a teenager on a course to militancy â€“- perhaps not so different from John Walker Lindh (he acknowledges some similarities to Lindh at one point in his memoir, Blue-Eyed Devil). But Knight soon became disillusioned with that life and the rigidity of the teachings he was being exposed to, specifically as it seemed to inculcate a negativity in himself he didn’t like. Also, starting around 2003, Knight started circulating a photocopied version of a novel he had written about an imagined community of Muslim punks in Buffalo, New York, called “The Taqwacores” (“Taqwa” can be translated as “God-Consciousness” or “piety” in Arabic). Eventually the book would be formally printed, most recently by an established independent publishing house called Soft Skull Press. Since 2004 Knight has become a bit of a publishing machine, putting out several other books. A documentary has been made about the Islamic punk movement his book helped inspire, and a feature-length film version of “The Taqwacores” is in post-production. On a more positive note…. 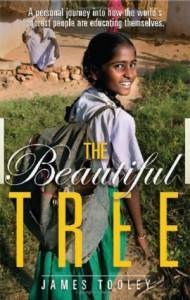 City Journal has a review of a fantastic new book chronicling the untold education successes in the 3rd world – “The Beautiful Tree“. University of Newcastle professor James Tooley journeyed to Hyderabad, India in early 2000 at the behest of the World Bank, to study private schools there. Or, more specifically, to study familiar private schools–that is, those that served the children of middle-class and wealthy families. The reason no one had “told him about them” was because these private schools were non-chartered, private enterprises operating under the government’s radar — aka “unrecognized institutions.” Instead of the sometimes hundreds of dollars charged by yuppy private schools, these unrecognized institutions often charged as little as $1-$2 per child per month. A brown woman? A suspicious package? Airport security to the rescue! 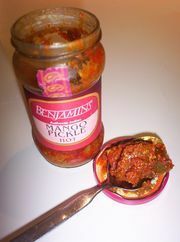 The fire department bomb squad removed the item from the airport and detonated it, discovering the mangoes. 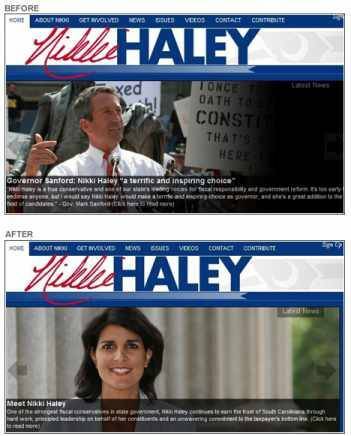 As soon as word of South Carolina Governor Mark Sanford’s adulterous affair with an Argentinian mystery woman hit the streets, Indian American gubernatorial candidate Nikki Randhawa-Haley pulled any association with him off of her website. Sanford who? Never heard of him. Did you check under the bus? Since there’s no question who S.C. Gov. 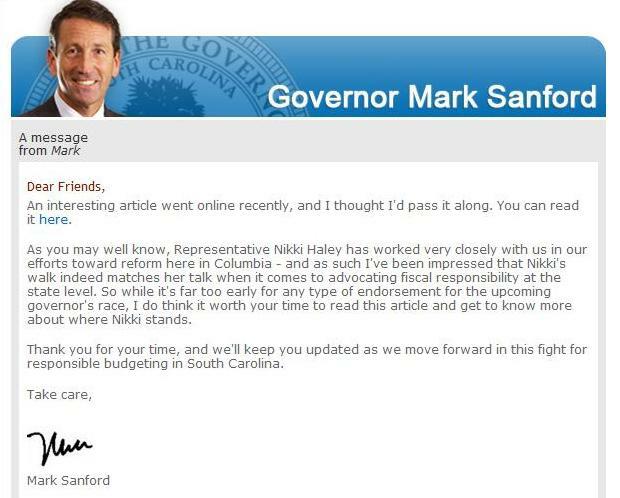 Mark Sanford is backing for governor 2010, the only real suspense left is this: at what point does First Lady Jenny Sanford start getting jealous? 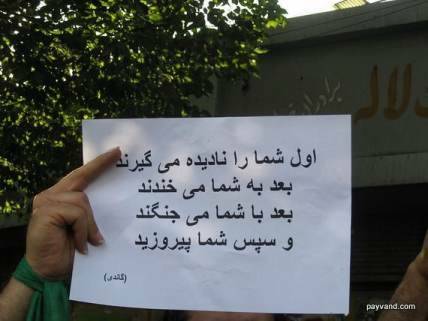 As many of you, I have been completely and totally engrossed by the uprising in Iran. Even while hiking in the Rockies this weekend I was refreshing Huffington and the Daily Dish on my smartphone for any small tidbit of new information (I usually roll my eyes at people who take their cell phones hiking, so this was a big deal for me).